Social media channels have repeatedly turned into an expensive graveyard of failed campaigns. We look at the five most tragic ways that companies have lost their reputation on Facebook, Twitter and Co – and what smart brands can learn from it. Social media is more than a like button. 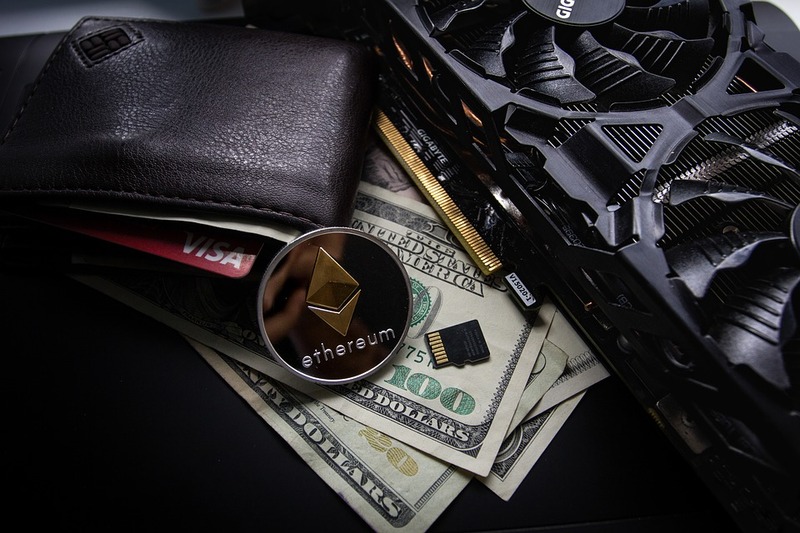 Companies opening up their social accounts freely might quickly discover some uncomfortable facts about their ‘fanbase’. For the 2017 Champion’s league final, Walker’s crisps had launched a campaign giving out free tickets if fans uploaded a selfie with the hashtag #WalkersWave. 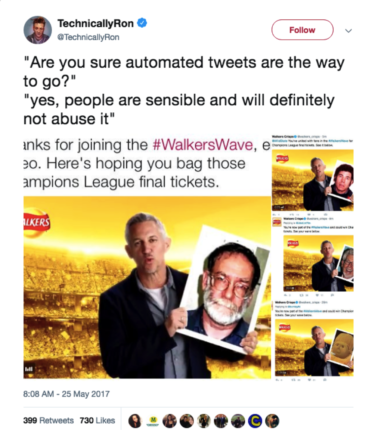 The pictures were featured in a customized video featuring ex-footballer Gary Lineker holding the picture frame, and – automatically – re-tweeted by Walkers. When users discovered that there was no censorship of submission, the ‘selfies’ were replaced by pictures of serial killers and disgraced celebrities. 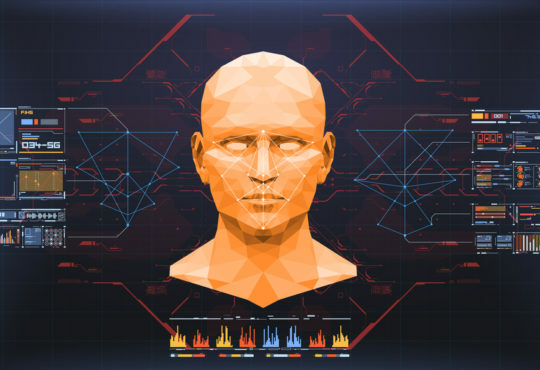 Trending videos were Gary Lineker joyfully holding the picture of mass murderer Fred West, and Harold Shipman doing a Mexican wave – a lesson of how not to use automated bots that Walker’s Marketing team will surely not forget. Yes, social media managers also deserve to be offline sometimes – and rightly love the ‘scheduled post’ function. 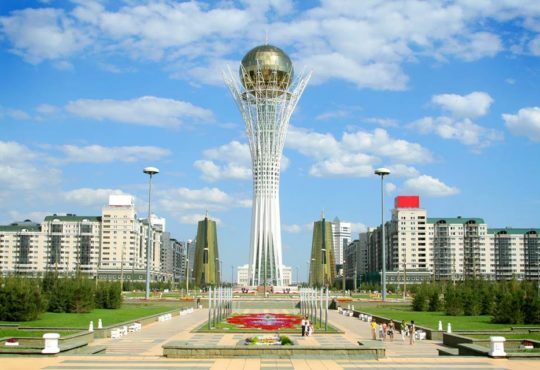 However, while the content sits and waits, the world might have drastically changed; or in this extreme case, the author of the post, no longer be alive. A post from Joan Rivers went viral that praised her alleged purchase of a new Iphone – released a week after the American comedian and TV star had passed away. The latest trends from the late celebrity: “Iphone 6 … feet under“, mocked the media Apple’s failed product placement. Not every small spelling error gets brutally reprimanded on social media. Things may change, however, if you are the No. 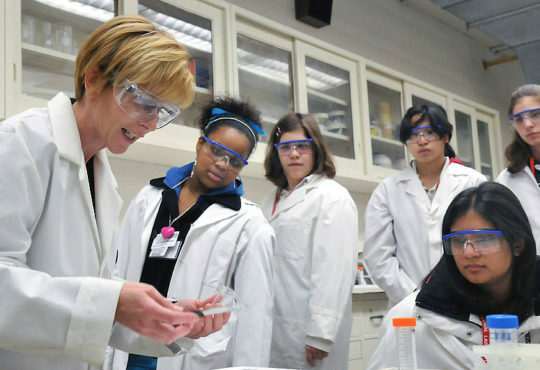 1 institution that should know the English language – such as the US Department of Education. Earlier last year, the US Department of Education misspelled the name of NAACP founder W.E.B. Du Bois, calling him De Bois. 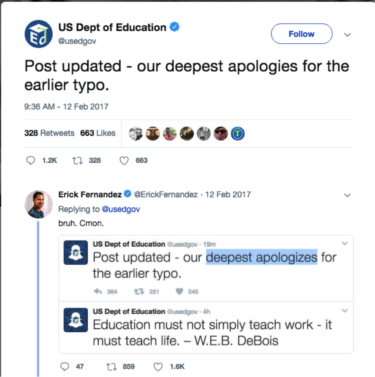 Even worse, when rushing to correct the error, the Department expressed their “deepest apologizes“, offering further ground for users to make fun of the inability of the institution to master the English language. 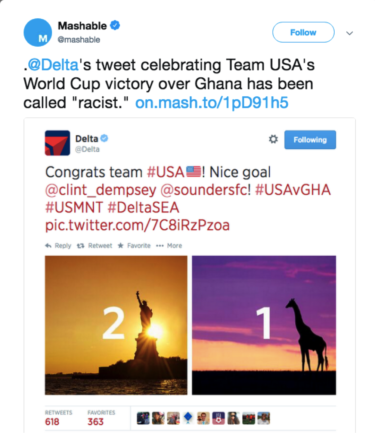 Similarly, Delta Airlines revealed not knowing a lot about the destination its serves: To celebrate the win of the United States of Ghana in the 2014 world cup, the company chose a Giraffe to represent the West African country – an animal found on the African country, but only found far away from the borders of Ghana. “Someone should let Delta know that Africa is not a country“, mocked Twitter users. Know what you share, be it funny gifs, clever memes or trending hashtags. 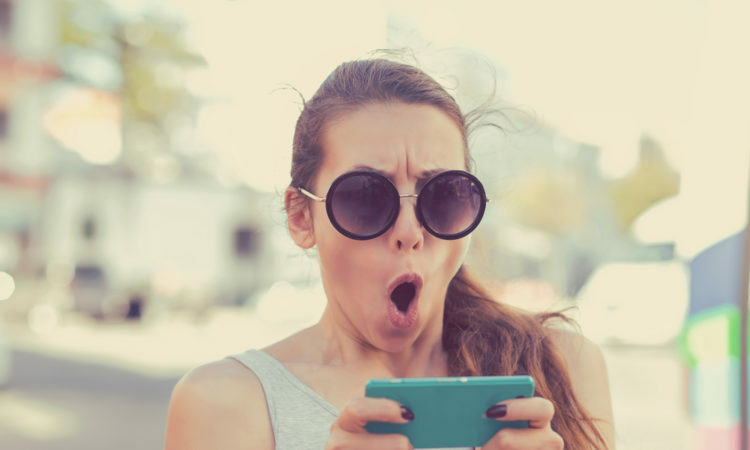 Companies that are too eager to jump on trends by sharing content without understanding what it links to might not only be embarrassing their brands, but seriously offending the online community. 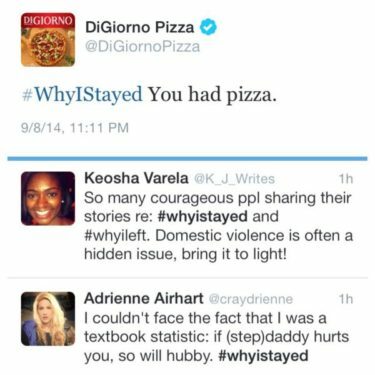 Pizza company DiGiorno famously learned that lesson the hard way when sending out a tweet using the hashtag “#WhyIstayed” to sell their branded frozen Pizza. After the domestic abuse scandal involving an NFL star became public, #WhyIstayed became the hashtag used by thousands of women that shared their experiences staying in violent relationships. While the company was quick to respond and apologize, the incident left the sour aftertaste of publicly mocking domestic violence with a pizza ad. Wendy’s marketeers probably did not know that the Pepe the Frog image they posted was a symbol of anti-semitism, and American Apparel might very innocently have confused the tragic image of the Space shuttle explosion with a cloud of fireworks to celebrate 4th of July – but in either case, a four-eye principle or the extra 10 seconds to check an image source could have easily prevented the public offense. Pizza company DiGiorno issued an apology about using the #WhyIStayed hashtag and deleted the offensive tweet. 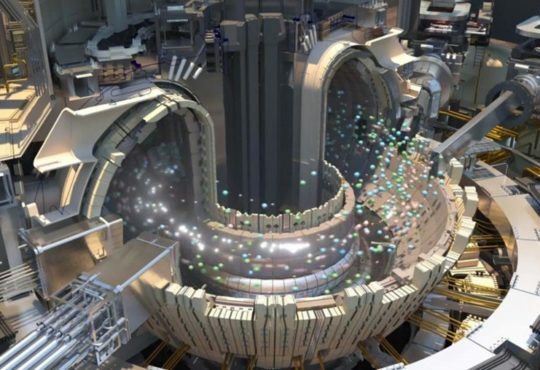 Image courtesy: Reddit. The most unforgiving social media scandals are the ones that are clearly and blatantly offensive. Falling in this category are the tweets of Epicurious, the food website owned by Conde-Naste, that suggested their signature “bowl of breakfast energy” to cheer up the victims and the shocked public that witnessed the Boston marathon bombing. 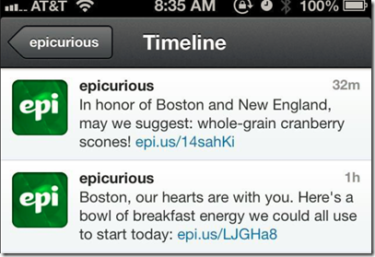 Epicurious issued an apology for these inappropriate tweets during the Boston marathon bombing. Equally disrespectful remains the tweet of KitchenAid’s account that was suggesting that President’s Obama grandmother had passed away over her grief of her grandson’s first term in office. “Obamas gma even knew it was going 2 b bad! 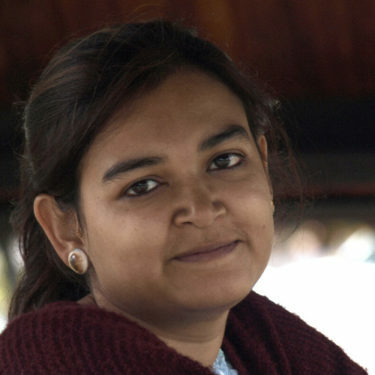 ‘She died 3 days b4 he became president'”, read the offensive Tweet sparking an instant debate. Time is critical in crisis response to incidents of this scale. Much could be said about limiting user rights and being strategic about who is allowed to speak in the name of the company – preventing that one employee gone wild can endanger the brand and reputation with one click. However, social media analytics who tracked KitchenAid’s damage control observed that within less then 3 hours, the offensive post was deleted, multiple official apologies offered and the user debate moderated. “From a PR standpoint, KitchenAid gets an A+ for the way they handled the situation” concludes the analysis. 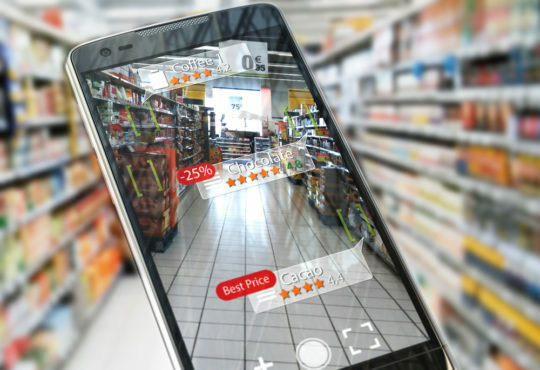 “On social media, a crisis may impact a brand in the short-term and spin-off onto other issues, tarnishing a brand’s digital footprint for years to come”, explains Herrera. Every 15 seconds a new user is joining the more than 3 billion Social Media users of the 7.6 million people in the world, luring brands big and small to join their conversations. 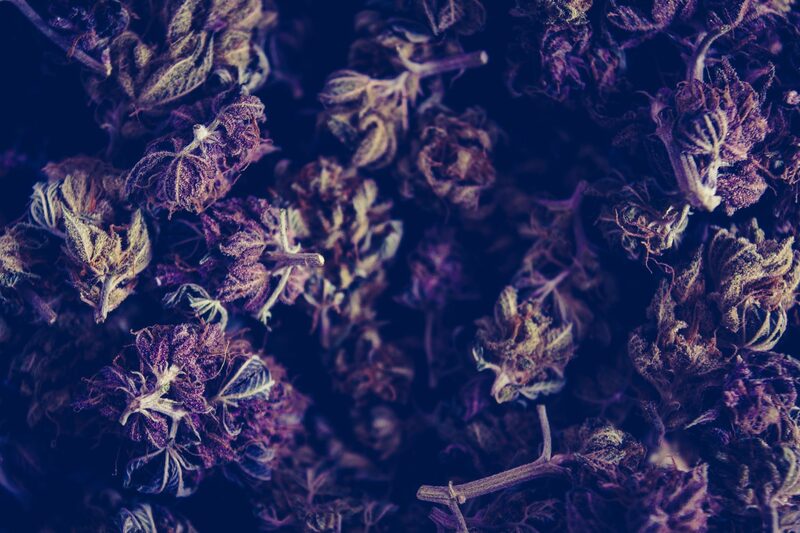 It is easily forgotten that the massive audience on Social Media will not only applaud their success, but inevitably also witness their failures.